Are you a computer science person looking for a good job? 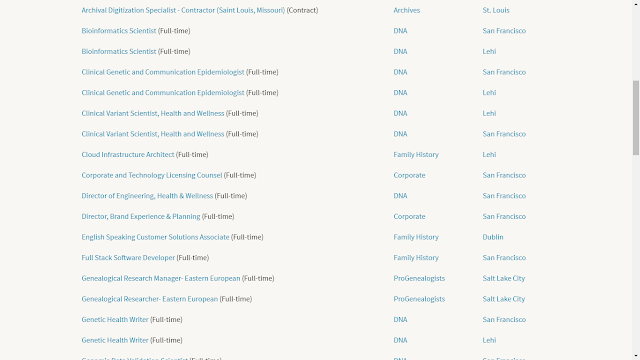 Ancestry.com, the leader in genealogy and family history provider, has over 60 job openings. The job descriptions, locations, and other information is at https://www.ancestry.com/corporate/careers/search-jobs. 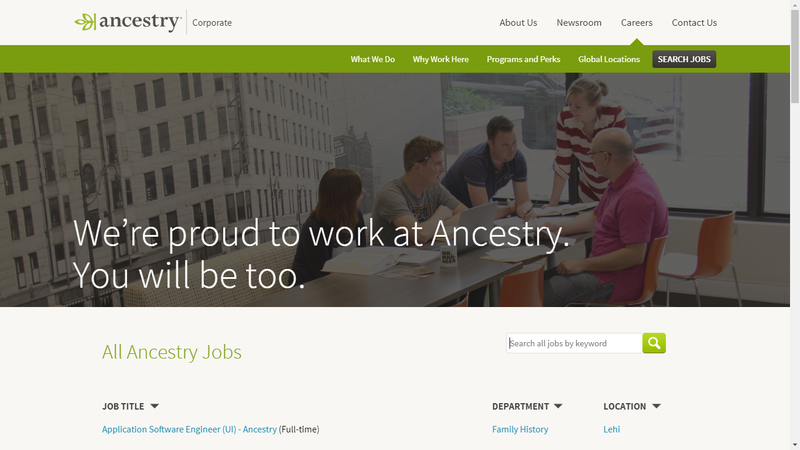 Most of the jobs are in Lehi, Utah (where the Ancestry headquarters are located) and San Francisco, California. 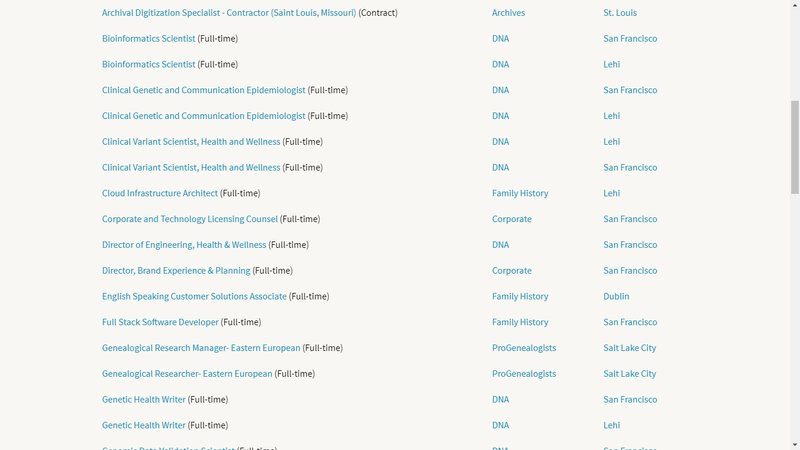 The major departments are "Family History" and "DNA" and "Corporate." "We’re a cutting-edge tech company with a very human mission—to help every person discover, preserve, and share the story of what led to them. Combining the rich information in family trees and historical records with the genetic details revealed in DNA, we create unique experiences that give people a new understanding of their lives, because connecting all the pieces of our family story can give us the deepest sense of who we are." Reading the job descriptions is interesting. Unfortunately, I know very little about the technical and technology details described in the job descriptions. And I'm probably too old to learn the technology required, but it sure would be fun to work at Ancestry if I were 25 or 30 again. Maybe my son-in-law would be interested? Or my grandkids in 10 years.